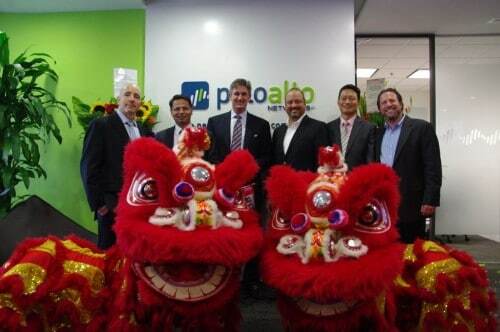 Today I am excited to highlight the next phase of Palo Alto Networks growth in the Asia Pacific region. It’s been nearly five years since we first established a base here in 2009, and I’m proud to say we’ve grown commensurately with the global team, which now serves more than 16,000 customers worldwide. Asia Pacific is a hugely important market for us. It is home to the highest number of Internet users in the world – a fact that makes its business population a prime target for cybercriminals and advanced persistent threats (APT). Mobility and cloud are just some of the computing shifts calling for a new approach to security – an approach that Palo Alto Networks delivers every day. That’s why we’re expanding our Asia Pacific operations to better serve our customers. Our new regional headquarters, located at 1 Temasek Avenue, Millennia Tower in Singapore, houses our Asia Pacific operations and much of our regional personnel, from expert technicians and sales to systems engineers and executive staff. Steve Leonard, deputy chairman of Infocomm Development Authority (IDA) Singapore, was on hand today with the Palo Alto Networks team to open the headquarters and be part of Singapore partner and customer events taking place throughout this week. The Millennia Tower office of Palo Alto Networks includes a state-of-the-art cybersecurity solutions lab that will provide customers the opportunity to learn about the latest cutting-edge technologies for combating cybercrime, from APT protection to high-performance firewall and IPS solutions. Palo Alto Networks experts will deliver hands-on demonstrations of our products and services, either through on-site sessions or via videoconference from anywhere in the world. We’ve received strong notices for our efforts in Asia Pacific. Underscoring our momentum, Palo Alto Networks was recently featured on MIS Asia’s annual index of the region’s best information technology and services providers. We are excited about our progress here, but I can assure you we’re just getting started. Leave a comment and let us know what else we can do to improve your Palo Alto Networks experience. Bingo… Palo Alto networks moving fast and improving foundations for yet another record growth and push in the APAC market. It seems the market competition is not able to respond or rather even copy the trend fast enough. Palo Alto networks has been doing well. They have been providing great service with their latest cutting-edge technology.